(Natural News) McDonald’s shares have reached an all-time high as Wall Street projects that the fast food chain’s bid to roll out new digital ordering kiosks will likely increase its sales. Andrew Charles, analyst at Cohen, noted that the fast food chain plans to implement the mobile ordering technology across 14,000 U.S. locations by the end of 2017. The digital ordering kiosks are expected to be deployed in 2,500 restaurants, speed up the order process and provide customers with more flexible options to customize their orders, thus mitigating the likelihood of human error. Also, the kiosks are projected to increase the company’s sales largely due in part to greater efficiency in McDonald’s restaurants. 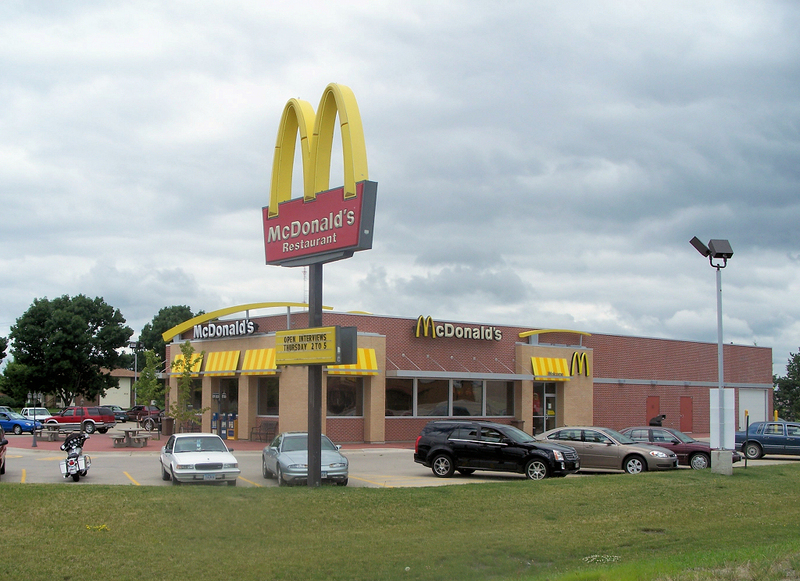 In line with the fast food chain’s recent technological advances, Charles raised his 2018 U.S. same store sales growth estimate for McDonald’s from 2 percent to 3 percent. The Cowen analyst also increased his price target for the fast food chain, from $142 to $180. This equated to a 17.5 percent increase from the close on Monday, June 19. In addition, the analyst raised his 2018 earnings-per-share forecast from $6.71 to $6.87. This, compared with a Wall street consensus estimate of only $6.83 for the fast food chain. “MCD is cultivating a digital platform through mobile ordering and Experience of the Future (EOTF), an in-store technological overhaul most conspicuous through kiosk ordering and table delivery. Our analysis suggests efforts should bear fruit in 2018 with a combined 130 bps [basis points] contribution to U.S. comps [comparable sales]. MCD has done a great job launching popular innovations within the context of simplifying the menu, while introducing more effective value initiatives that have recently begun to improve the brand’s value perceptions,” Charles said in an interview with CNBC.com. Recent reports have alleged that the fast food company’s plans to roll out the touch-screen, self-service technology is set to displace cashiers in 2,500 stores across the country. However, the fast food giant strongly dismissed this, stating that it has no plans of replacing its cashiers. According to the company, the installation of kiosks will not result in large-scale layoffs, but will instead move some cashiers to other parts of the restaurant where more people are being accommodated, such as table service. Just last year, McDonald’s installed its “Create Your Taste” touchscreen kiosks, which allowed customers to customize their burgers and full-menu orders. Bakery-cafe chain Panera Bread has also committed to installing touch-screen kiosks to all its restaurants within a few years. “Beyond shorter lines and improved accuracy, customers love the fact that they can save those modifications as favorites or order from their history. The consumer-facing technology results in labor savings for Panera; these hours are redeployed in the cafe. In fact, in most cases, Panera increases the number of associate hours in our cafes; and they see increases in overall guest satisfaction,” said Blaine Hurst, Panera chief transformation and growth officer. Wendy’s Co. joined the bandwagon to install self-service ordering kiosks. According to reports, the Dublin, Ohio-based fast food giant is slated to add the machines to at least 1,000 restaurants by the end of 2017, or around 15 percent of all Wendy’s stores.